Hi! It’s finally here! 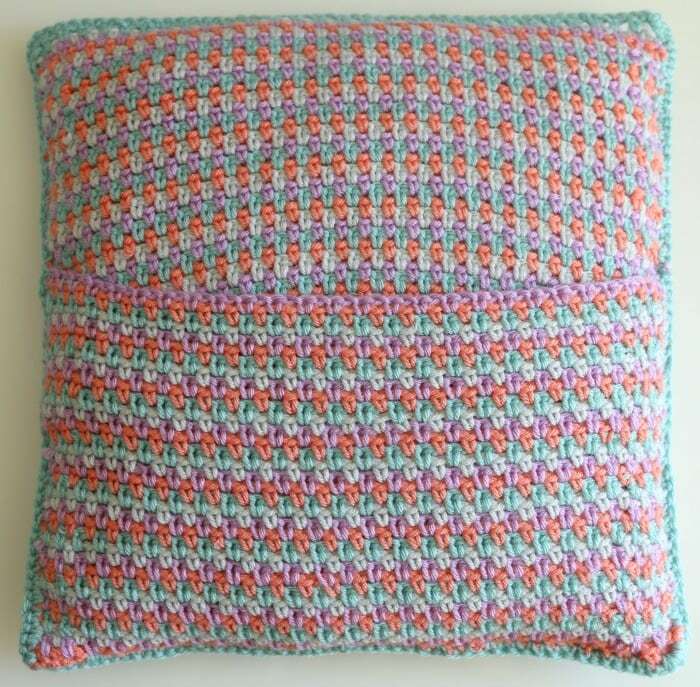 The Moss Pillow Crochet Along! 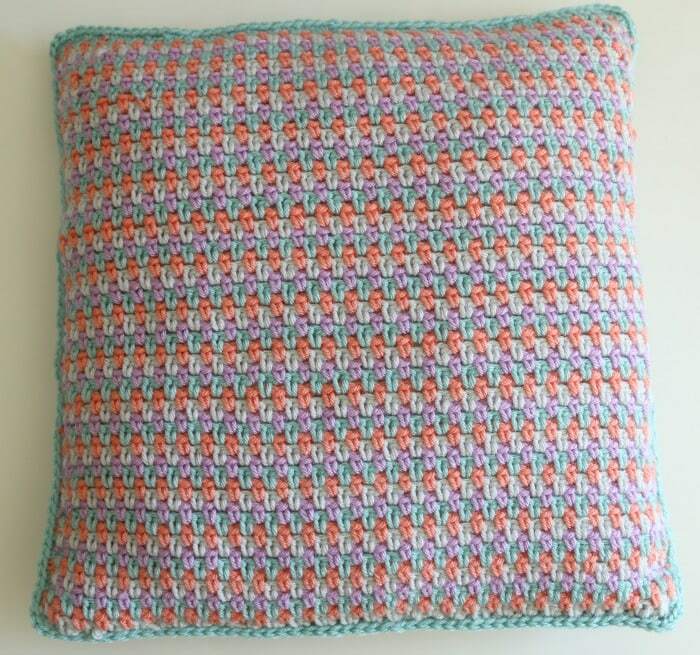 We will be making a crocheted envelope pillow cover using the beautiful and simple moss stitch. 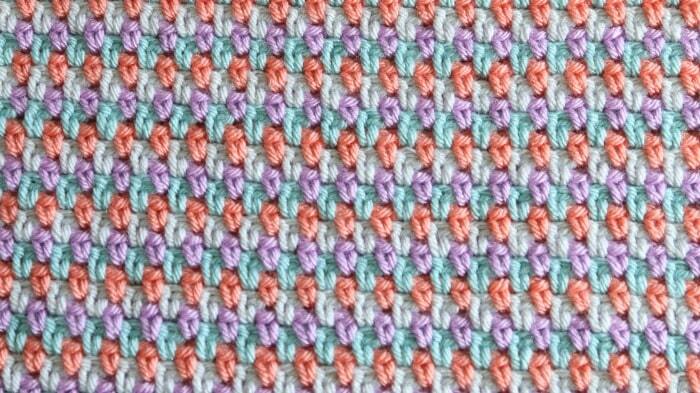 This stitch is also often called the linen stitch or garter stitch. This is beginner friendly. 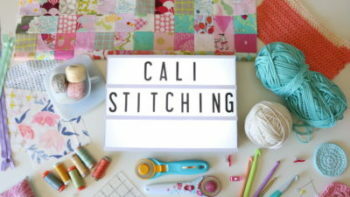 This CAL is free and will be hosted exclusively here on my blog. Thursday June 28 – Celebrate! 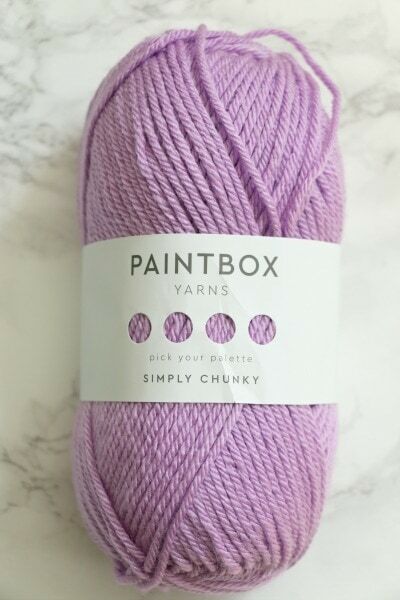 *4 balls of Simply Chunky yarn by Paintbox. 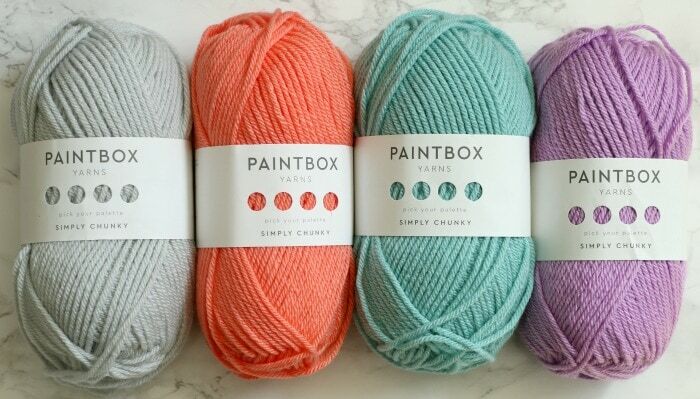 I am using this beautiful and easy to use yarn by Paintbox. This the the 100% acrylic simply chunky yarn. Each ball of yarn is a size 5 weight and 100g/3.5 oz and 136m/149yd. 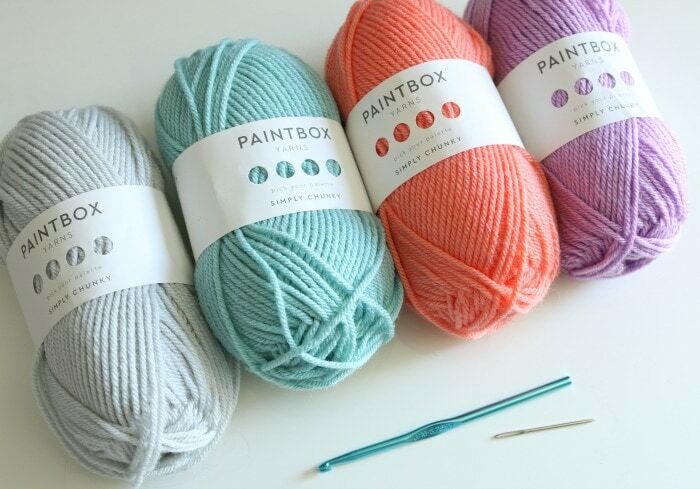 The colors shown are Stormy Grey (304), Tea Rose (342), Bright Peach (311) and Washed Teal (332). 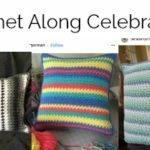 Feel free to use 1-4 colors in this project. *If you want to use a different yarn, try to get something similar to what I have chosen. 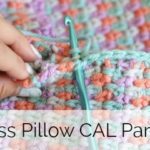 I won’t be able to help everyone determine how much yarn they need individually for this CAL if you aren’t sure how to substitute the yarn choice. 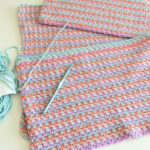 This stitch and project will look great with different types of yarn so when it doubt buy a little extra and save your receipt ;). Each week we will have a new section to work on as a group. Use the hashtag #CALmelanie so that we can all see what we are working on! Feel free to leave comments under this post. I will be sharing on my facebook page, so that is a great way to post photos as well. This is the first time I have done a CAL, so I welcome your feedback to make this better for future projects! Now it’s time to gather your supplies and get ready for next week! On Monday I will add the finished photo of the pillow once I’m done shooting part 4 ;). I wanted to get this post up for you! I don’t think I’ll order yarn from lovecrochet.com again. I ordered my yarn for this project on June 4th, it shipped June 5th, it’s now June 11th and still no yarn. It left St. Louis and for some unknown reason was sent to Texas, bypassing Oklahoma. This is why I never use DHL to ship, they take the long way around and shipments are delayed. So your pillow is 14×14? Very exciting. 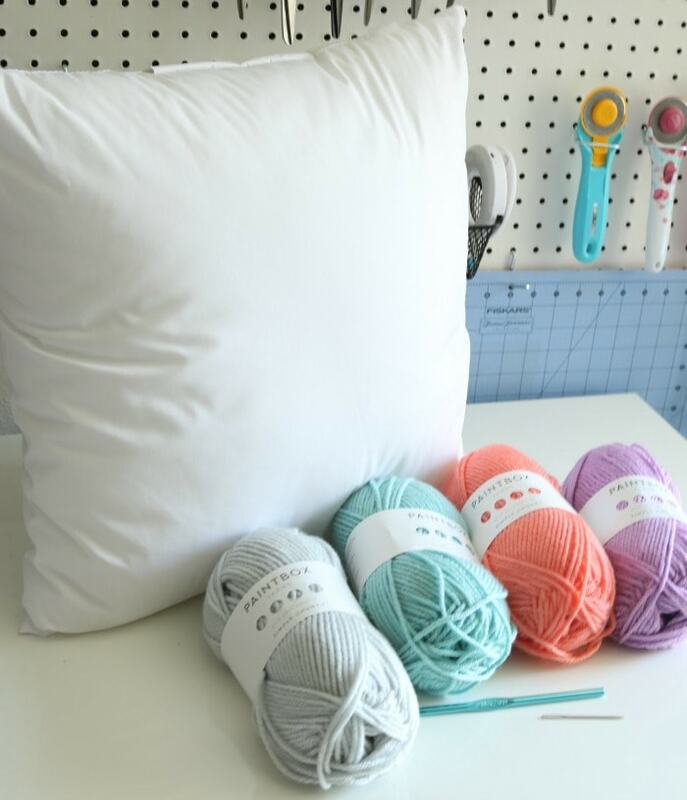 I have 2 not pretty pillows in my craft room. So this project couldn’t have come at a better time. Thanks for all you do Melanie you truly inspire me. So ready! 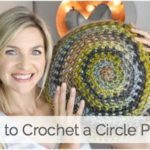 Love your crochet videos so excited about doing this. I am looking forward to this! Thank you! This comes at a perfect time! 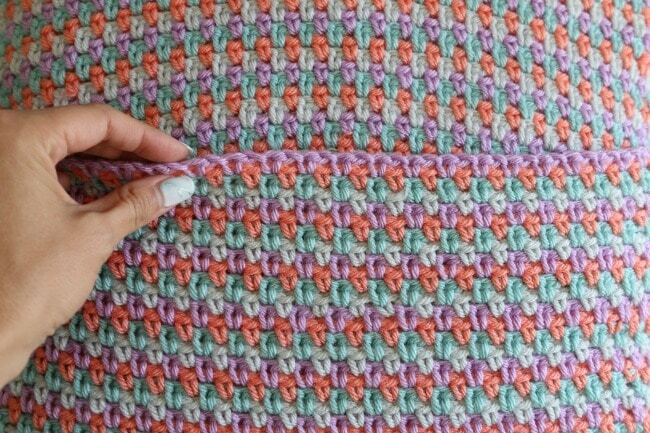 Schools almost over and I want to get a new crochet project going. We just moved so I can make some cute pillows for my new house! Excited! 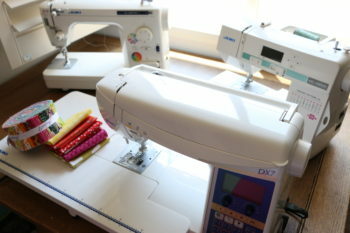 I need a handwork project because we just moved and my sewing area is still not unpacked! !